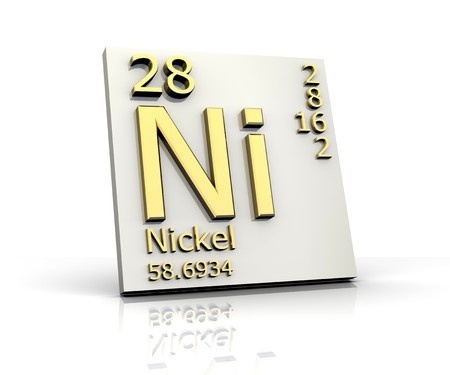 As if nickel were not already in short enough supply, a plant that thrives by EATING the metal has recently been discovered! Although it may sound like something from a horror B-movie, the intriguing plant does actually exist and, far from harming the many industries who use nickel, could actually be of great benefit. The plant was discovered earlier this year in the Philippines and named rinorea niccolifera after it was discovered to possess the ability to bio-accumulate great amounts of nickel without causing damage to itself. A relatively small number of plant species (around 450) have this ability and are known to science as hyper­ac­cu­mulators, adapting to grow in metal-rich soil that would prove toxic to other, even closely-related, plant species. Absorbed through the roots and quickly transferred throughout the tissues of the plant, the nickel is thus 'eaten' and can accumulate to levels of more than 18,000mg in some examples, representing 1000 times more than a non-accumulating type of plant. The rare plant is of significant interest to the mining industry, particularly from an environmental perspective. Rinorea niccolifera could be used to absorb potentially-hazardous metals from the air around mining locations, helping to restore the natural ecosystem. There is also a commercial aspect: once a plant has absorbed a large quantity of metal, this can then be extracted for sale or use in other applications. Augustine Doronila, co-author of the ground­bre­aking paper that describes the new plant species, is very excited about the possible uses of rinorea niccolifera and said that hyper­ac­cu­mulator plants have "great potential for the development of green technologies." Hopefully this plant isn't spreading too fast but if you want to stock up on stainless steel just in case please feel free to contact us at BS Stainless. Call us today to find out the very latest news and metal prices. You can reach our team on +44 (0) 1772 337555 or email sales@bsstainless.co.uk. BS Stainless - your partner for stainless steel.